Thrust in the heart of the Arctic’s icy winds and sub-zero temperatures for 100 hours, can your skin survive against Mother Nature’s cruelest climates? 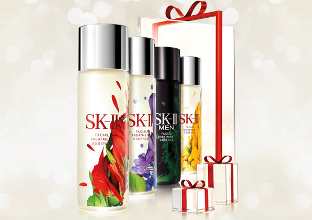 Going beyond convention to push the boundaries of product testing and defy the limits of beauty, SK-II embarked on an unprecedented expedition in northwest Alaska, at the cusp of the Arctic Circle, to perform the ultimate skincare torture test. 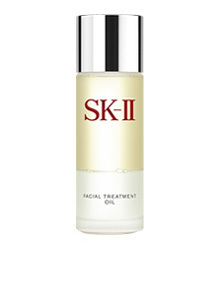 To demonstrate the efficacy and durability of the iconic Facial Treatment Essence, as well as our latest skincare innovation, Facial Treatment Oil, SK-II invited two top beauty vloggers from Japan and Korea to put their skin to the test against the frigid climate and gruelling weather of America’s Last Frontier. As one of the two beauty gurus invited by SK-II, Japanese vlogger Sasaki Asahi was challenged to endure Alaska’s frigid climates while partaking in iconic Alaskan activities – such as dog sledding, glacier hiking, and searching for the spectacular yet elusive aurora borealis – which would noticeably distress, dehydrate, and wreak havoc on her skin. With severe weather conditions that included icy winds, drastic drops in temperature, and prolonged exposure to sub-zero climates, Asahi’s skin consistently lost moisture and was desperately under duress. 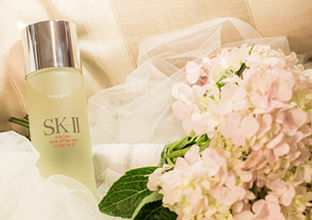 To rescue her skin after each activity, she turned to SK-II’s Facial Treatment Essence and Facial Treatment Oil. Both products contain PITERA™, the brand’s signature ingredient, and were shown to remarkably increase Asahi’s hydration levels almost instantly upon application – proving the power of PITERA™ in even the harshest environmental conditions. For Asahi, the Extreme Beauty Expedition was a once-in-a-lifetime encounter with both the beauty and challenges of the Arctic, as well as an eye-opening experience about the rescuing effects of SK-II skincare. “My skin could survive with the power of SK-II’s PITERA™!” she said.